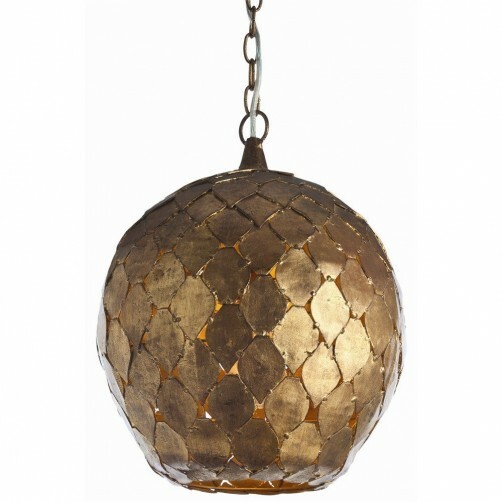 Handcrafted pendent with rustic diamond shaped antique gold finish leaves are pieced together to form dome. H: 16" Dia: 14". Max. Suspension: 4.4 ft.
*light bulb not included. *hardwired only.